Adam Dow, who mentored Kaneez Surka, Tanmay Bhat and others, talks about the future of improv in the country. 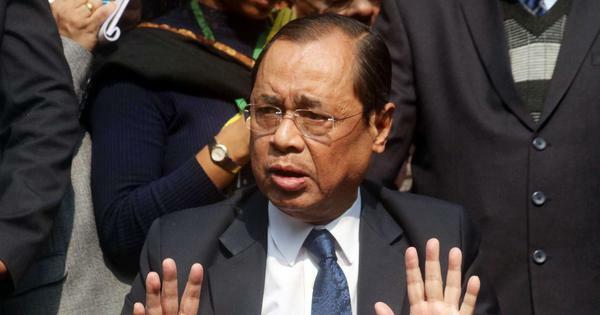 A courtroom drama, improvised every minute for half an hour. A live crossword. 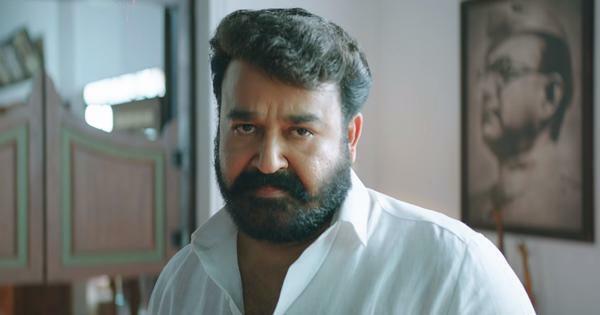 A spontaneously crafted Tamil movie. These were just some of the acts that captivated a 200-strong audience at the inaugural Bengaluru Improv Festival in late November. The event line-up included participants and instructors from across the globe. 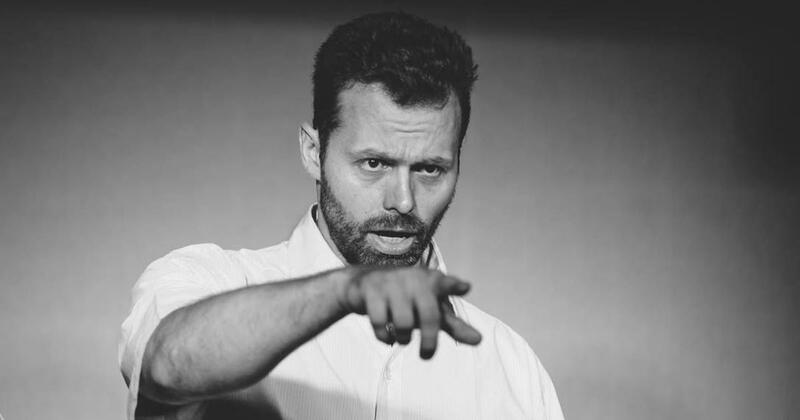 But missing from it was one important name: Adam Dow, the man who played a key role laying the foundation for improv in India over a decade ago. An American from Seattle, Dow has made Mumbai his second home, but was unable to make it due to a change in the festival’s dates. The founder and artistic director of the Improv Comedy Mumbai, Dow has been a mentor to many prominent names in India’s improv comedy circuit, such as Nasir Engineer, Tanmay Bhat and Kaneez Surka. He has also worked with international comedians and improv celebrities such as Russell Peters, and Ryan Stiles and Colin Mochrie from Whose Line Is It Anyway? 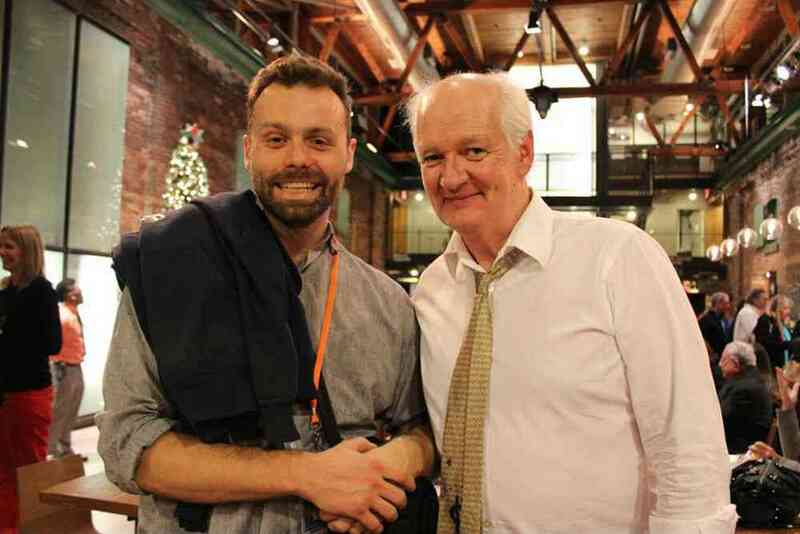 Adam Dow with Colin Mochrie from 'Whose Line Is It Anyway?'. You came to Mumbai to shoot a documentary, how did you start teaching improv? I’ve been doing improv since high school (in 1996) and later helped start Washington University’s first improv group called The Collective. I was also awarded the Mary Gates Scholarship for Leadership for it and got cast in the ensemble at Seattle Theatre Sports. After college, I split time between television and film production, and improv performances in Seattle. I saw an opportunity [to do something with improv], this time in Mumbai, when the video blog I was doing for Real Network grew into a documentary project (Beyond Bollywood, now on Netflix)… I loved teaching improv and needed another source of income. What was the comedy space like then? Were people aware of, and receptive to, improv? Even stand-up was a new thing then. But people were excited about Western-style comedy and familiar with Whose Line Is It Anyway? [And so] were open to the idea and wanted to check improv out. A few people had learnt [improv] from theatre director Divya Palat. Brij Bhakta from S&G Comedy, who’d come from the US too, taught and performed for a while. Yours Truly Theatre [in Bengaluru] had been around for a while and did playback theatre – a form of improv. But no-one had seen a comedy-style performance live, an altogether different experience. Where did you teach in the early days? When did improv become your main focus? Prithvi’s Sanjana Kapoor had me work with [the festival] Thespo and introduced me to Theatre Professional’s Jehan Manekshaw. That gave me a lot of good students – Ankit Challa, Kaneez Surka, Mukul Chadda, Naveen Kaushik and many other gifted individuals. Our first live show was at Zenzi Mills, Bandra [around 2008-’09]. Then I taught from my house in Pali Hill, rented rooms, and at Bombay Electrik Project’s open mics in a drop-in format, where you could walk in and pay up. ICM [Improv Comedy Mumbai] got coined only in 2009 as we had to start a Facebook page. The Comedy Store opened the same year. It was the first venue with a focus on comedy – with an internationally-known English brand – that provided a state-of-the-art stage to young comedians. Gradually the classes became on-and-off weekend intensives, but it was only after CNN covered me in 2011 that it dawned on me that I was part of something much bigger than myself. By now, the documentary was almost complete, and I had enough regular students to make teaching, shows and some acting my main gig. One-off shows by big comedians became very popular and at some point, improv caught on. In a year or so, I created an eight-week programme with a proper curriculum, like here in Seattle. We also started touring – first [was] a three-city [Bengaluru-Delhi-Mumbai] gig in 2010-’11. [This was followed by] showcasing – for the first time – our improvised Bollywood act at IMPRO Amsterdam festival in 2012, then Berlin in 2013, Toronto in 2014 and Vancouver BC with a tour down the West coast, including Seattle and Portland, in 2015. Corporate training followed. Now that familiarity with improv has grown, have the level of games evolved too? Yes. Initially, I would teach the basics of improv, explain how improv is a part of different art forms such as music, theatre, storytelling and poetry [and] 15-20 short games such as First Line-Last Line, Questions Only, Movie Reviewer and Freeze Tag. They are usually comedic because they’re done on-the-spot. But it comes down to consistency, so for shows we would perform seven or eight [games]. Over the years, I’ve added more challenging games in middle- and long-form formats. Was it all smooth sailing? Initially, being a leader in a new place, creating a shared vision and consistently spreading the word on improv was challenging. The biggest thing was to find examples that would work in the cultural context and space here. For this, I had to pick up a lot about pop culture and traditions by reading, watching TV shows and soaps. The classes have also [gone through] lot of phases and living out of a suitcase is tiring. My parents are in Seattle, I am an only child, and I also work here with Unexpected Productions. On the other hand, having spent so many years in Mumbai, building the scene, I keep on wanting to return. Mumbai had only a couple of improv groups a year ago. 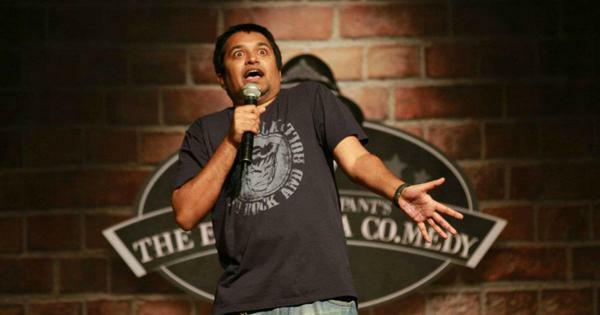 Now there are many, most being offspring of Improv Comedy Mumbai. How did this happen? We’ve roughly trained 800-1,000 people, including All India Bakchod. I worked with Tanmay [Bhat] on a TV show. Everyone wants to perform, but we can’t get enough stage time for all. Surka is now on Amazon Prime, there’s the Ankit and Avinash Show, Nasir [Engineer] moved to Bengaluru and started Improv Comedy Bengaluru. Overall, seven to eight groups have emerged – The Etceteras, Kaamedy Inc, Mischief in Action...The more different groups perform, the better the scene gets. How many of those who come to learn improv want to take it up seriously? If you want to take improv seriously, you need to know that the end goal of just being an improviser isn’t financially viable. Improv is a tool to help you grow: as an actor, writer, teacher...you try to incorporate it into your daily life and apply it to what you do best. If you’re doing it as a hobby, then you take classes for fun and participate in shows once in a while. 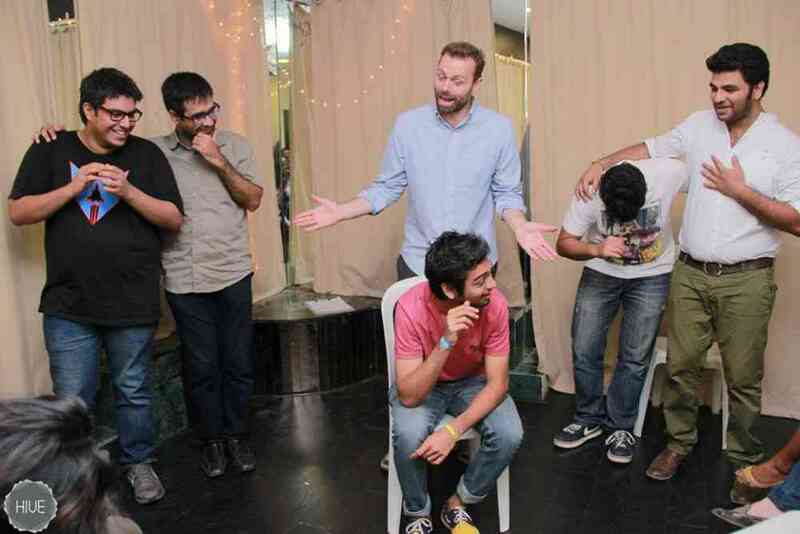 Adam Dow with a group of improv artists at The Hive, Mumbai. How has the overall improv scene grown? Earlier, it used to stop and start when I came and went. Now there are regular shows, meet-ups and open mics. Many groups and colleges are performing in the format. In Mumbai, we mostly do short form, so the scenes are wacky with over-the-top character performances. Now longer narratives, realistic acting and situational comedy are forming another wave of improv in India. Bengaluru has the next biggest scene after Mumbai, then Delhi. I see endless scope and room for growth in India. What’s the latest you and ICM are doing and what’s in store for the future? Mash Ups, Comedy Cup [where two groups compete] and Sunday Improv Nights are happening at the Habitat in Khar. Playground, a drop-in workshop for our students, happens at Satyam Hall in Juhu, and our classes are at Title Waves Lounge in Bandra. I want to create more levels, [train] instructors and I’m also trying to work with Whistling Woods to start a programme. Going forward, I would like to increase production budgets, curate shows that are improvisational in nature and comedic, using material people in Mumbai want to see. I’ll have to learn a lot more Hindi.